DynEd | The DynEd certificates were granted on the 9th of March 2017 during Settabutr Upathum’s Annual Ceremony. Settabutr Upathum School is a medium-sized private Kindergarten and Primary school in residential Ladprao, northeast of Bangkok. Dedicated to providing high-quality but affordable education for nearly 700 pupils aged 4-12, the school has been serving the community for over 50 years. Settabutr Upathum is an inclusive and exciting place to be with an evolving vision for its future. 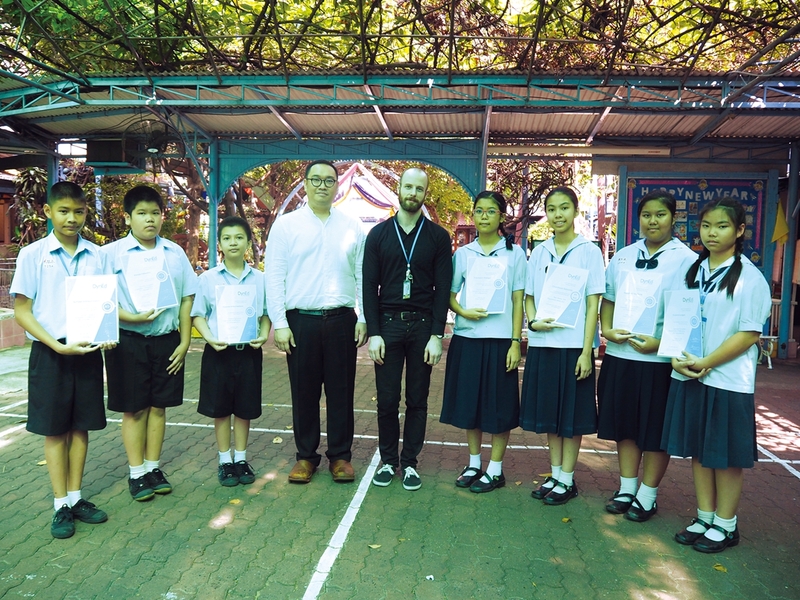 With the school currently overhauling its English curriculum to suit 21st Century learners, it has the challenge of making sure that these talented cohort of Grade 6 children are equipped with the right language skills when they compete for a place on the oversubscribed English Programs at local prestigious Secondary Schools. 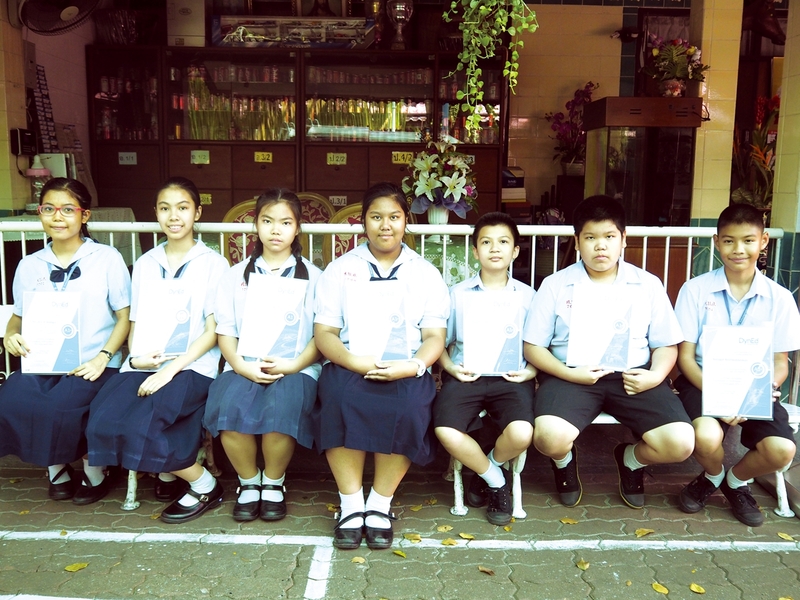 Congratulations to these 7 EP Prep (English Program Preparation Course) students who all earned their DynEd Pro Certificate only after 6 months of consistent usage which has helped them all to earn a place on the Grade 7 English Program of the top secondary schools in Bangkok. DynEd’s Certificate skill levels are fully aligned to the Common European Framework of Reference for Languages (CEFR). DynEd’s Blended Solution was used in the design of the course used for the students in Settabutr Upathum School’s EP Prep Course. In addition to studying DynEd’s award-winning multimedia courseware, the students also attended classes with a native teacher who facilitated a variety of communicative activities designed to help the students further practice and personalize the key language patterns in the courseware. EP Prep Course was organized as a special after school activity. Many students also studied DynEd during lunch, or at home. The DynEd certificates were granted on the 9th of March 2017 during Settabutr Upathum’s Annual Ceremony. The students earned their Certificates by successfully completing and passing all required DynEd coursework and exams.